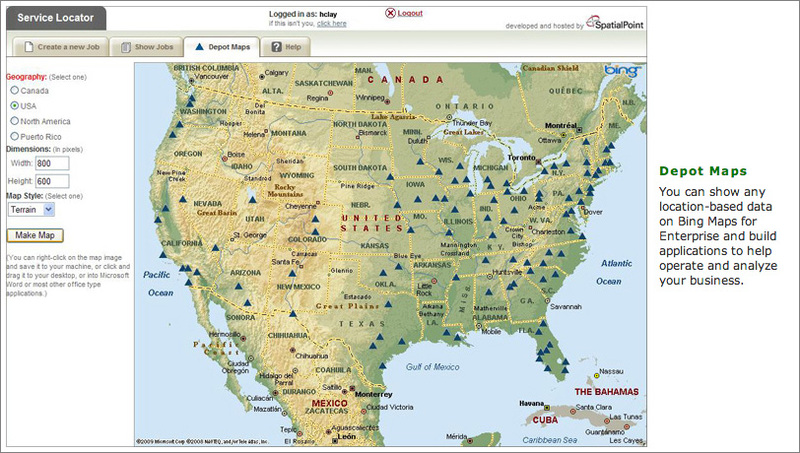 SpatialPoint Atlas makes deploying custom, web GIS applications simple. With Atlas, you get the proven scalability and reliability of the Microsoft Bing Maps platform combined with the functionality of robust GIS mapping engines. 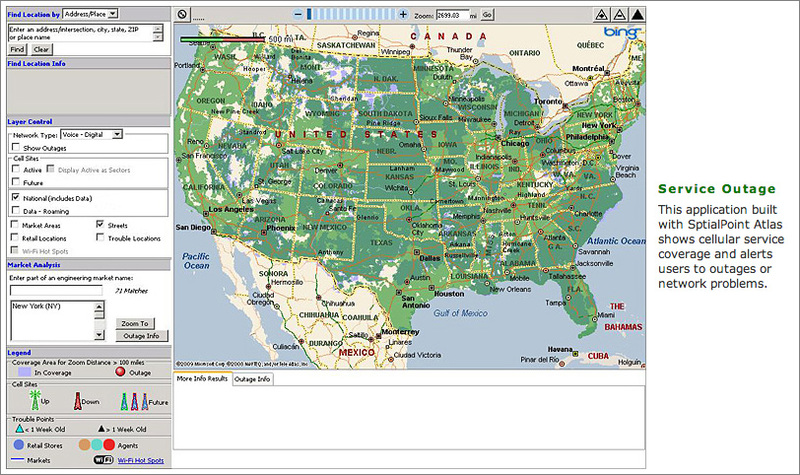 It’s an affordable, powerful, and effective way to deploy web-based mapping applications. Customer service, asset tracking, infrastructure management, marketing automation and more—now you can do it all. With Atlas and Bing together you can integrate large data sets, display hundreds of thousands of points, and manage complex polygons (territories, boundaries, etc.) 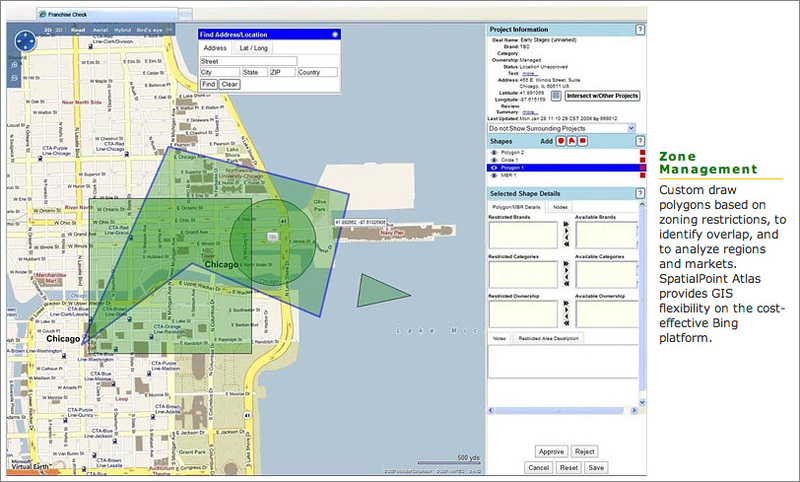 to ensure you have an online GIS application that meets your business needs. Atlas offers developers a service-based API. You can work with whatever language you’re most comfortable with, as long as it can consume web services. Use Atlas along with Microsoft Bing Maps. 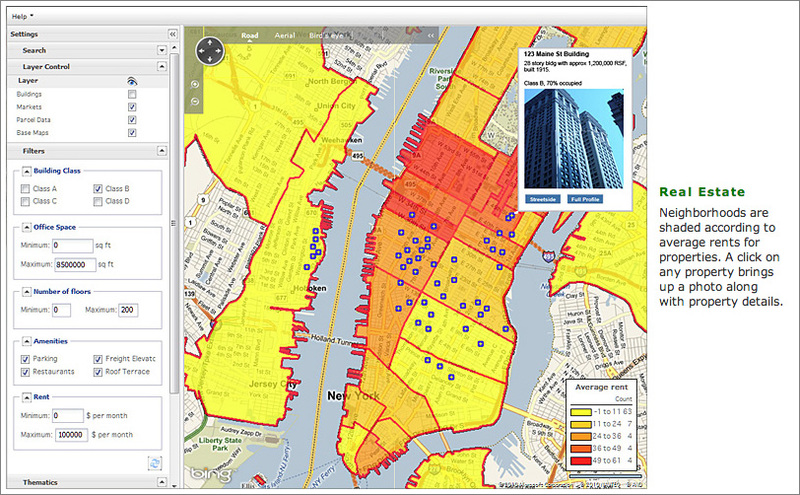 Learn more about licensing Microsoft Bing Maps from SpatialPoint. That’s what SpatialPoint is here for. Atlas is designed to be easy to use, so whether you’re an experienced web based GIS professional or a developer with no mapping or online GIS experience, you’ll be able to get your web GIS application up and running quickly. Atlas can be deployed as a hosted web service or inside of your own firewall. We’ll work with you to find the solution that best meets your needs. Don’t want to build it yourself? Atlas is simple and easy to use, but some customers want us to build their own web GIS application. If that’s you, our expert team of consultants and online GIS developers can work with you to build an application tailored to your specifications. See our Services page.